ROY LICHTENSTEIN RARE FABULOUS BEAUTIFUL LITHOGRAPH, SCREENPRINT, WOODCUT & METALIZED PVC COLLAGE WITH EMBOSSING ON MOLD-MADE SOMERSET PAPER. From the Reflections series. Hand signed, dated and numbered in pencil. Published and printed by Tyler Graphics Ltd., Mount Kisco, NY. Artwork is in excellent condition. Certificate of Authenticity included. 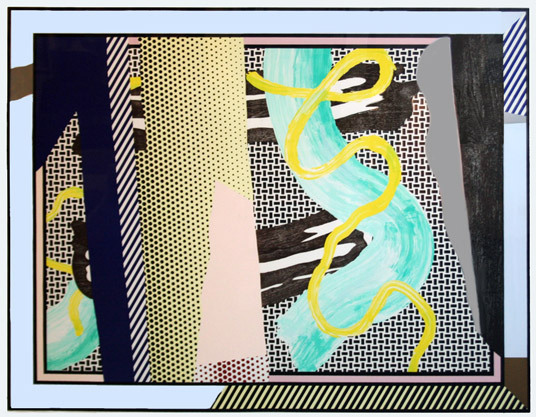 Click the button below to add the Hand Signed Reflections On Brushstrokes By Roy Lichtenstein Retail $85K to your wish list.